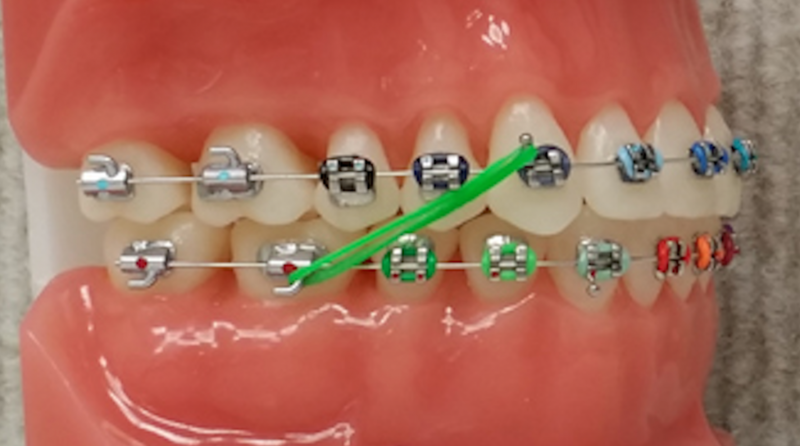 Receiving elastics to wear on your braces is a very important component to the progress of your treatment. They provide the force or “pull” needed to move your teeth into a proper alignment to achieve a good bite. For elastics to be effective, they must be worn as close to 24 hours per day as possible, every day. Constant wear of your elastics is essential. If you forget to wear them for one day, some of the progress that you had achieved will be lost. Night time elastic wear alone will not move your teeth, only maintain their current position. Take your elastics off only to eat and to brush your teeth. We recommend placing the elastics bag by your food so that you will have fresh ones to put in as soon as you are done eating. 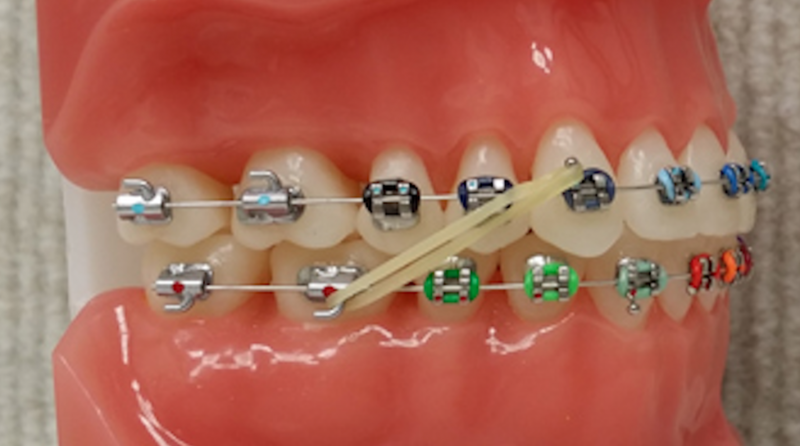 Changing elastics daily helps maintain their strength. For the first few days your teeth may be sore from the elastics. This is normal and as soon as the teeth get used to the new movement, the soreness will disappear. A pain reliever such as Tylenol might be helpful. As long as you continue to wear your elastics, the teeth will not be sore again. However, if you take a break from the elastics, you may need to go through the one to two days of discomfort again to adjust. Make sure you have enough elastics before you leave our office – take as many packs as you need. We now offer rubber bands in a rainbow selection of neon colors as well as the traditional clear color allowing you to show your individualism. If you run out or lose them, come in or call our office in Larkspur on 415-459-8006 and we will mail some to you. If you follow the instructions that we have given you and wear your elastics all day and all night, your treatment will progress as planned and you will be on your way to a beautiful, healthy smile in a surprisingly short amount of time.